What's the BIG NEWS?.... 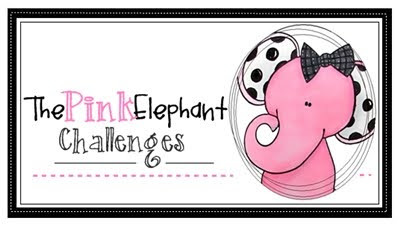 Well, I'm so excited to announce that the talented and creative Lori Boyd over at The Pink Elephant Challenge Blog asked me to join her amazing design team! Lori and I have been blogging buddies for several years, and my dear Hannah even has one of her hand-painted tea sets! 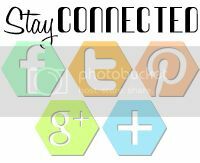 Sending a big shout-out to Lori and the gals on the TPE design team...thanks so much for this fun and creative opportunity! 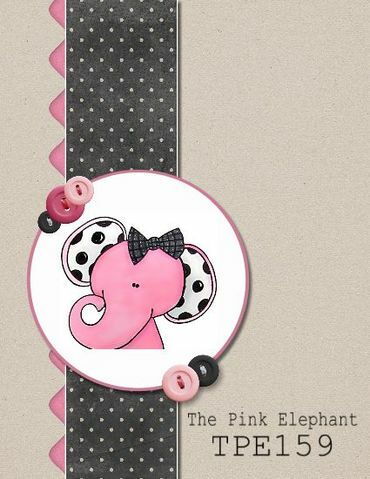 Head on over to the The Pink Elephant and play along with the TPE 159, using this sketch as your inspiration! Don't you just love the cluster of buttons on this card? Since I'm an embellishment fanatic, I've been wanting to try this technique of grouping buttons together. The TPE 159 sketch gave me the perfect opportunity to use some of my button collection. This was a fun card to make, a clean and simple card, a style that I rarely use, but always love the result when I do use it! 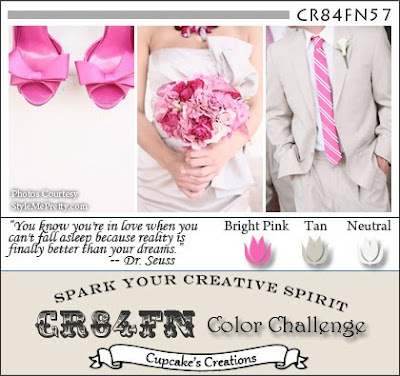 The CAS-ual Friday, CFC61: Let's Strip, was what got my card going...lots of white space with strips. There are two panels, both embossed with different embossing folders, the vertical strip was flagged at the end with a square punch. 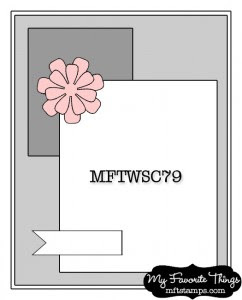 Though, the fishtail flag dies from MFT are definitely on my wish list. 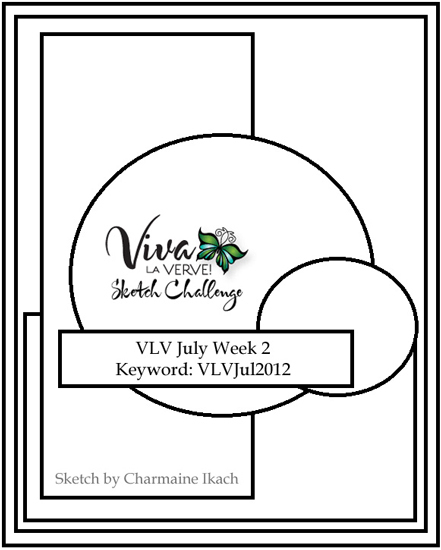 Jen's Sketch For You to Try worked great with the other two challenges and really helped me keep my card clean and simple, which is usually difficult for me! Thanks for stopping by! Stay tuned for a new look at the stage coming soon! Hey there, folks! Hope everyone is having a wonderful weekend! While the boys and Greg went out to the county fairgrounds to set up for the upcoming fair this week, Hannah and I had a chance to catch up on some crafting! As she likes to say, "Mom, are you ready to go get our craft on?" 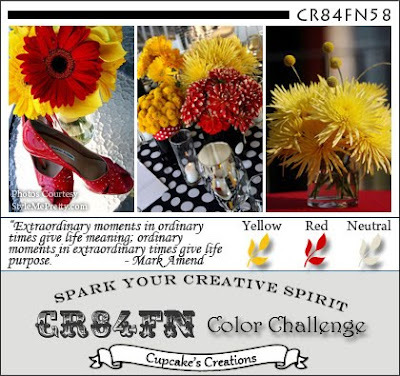 For this birthday card, I was inspired by Arielle's beautiful color combination, cQc145 at the ColourQ Challenge using Daffodil Delight, More Mustard, Chocolate Chip, Pear Pizzazz, and White. 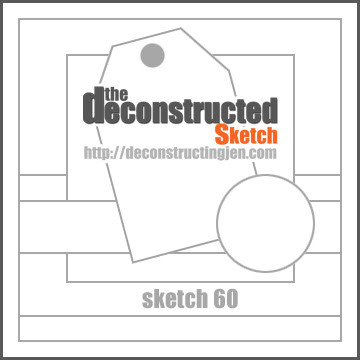 Jen's deconstructed sketch 60 was the perfect one to create a sweet birthday card! 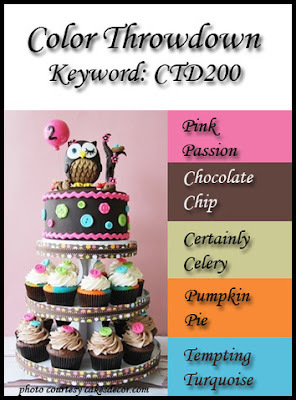 You can never have too many birthday cards on hand for those times that you're in a pinch! Good morning! Even though the sun is shining bright this morning, the temperature has cooled off a great deal...thank goodness! For my card, I used the sketch from Viva la Verve July 2012 Week 2 as my inspiration! 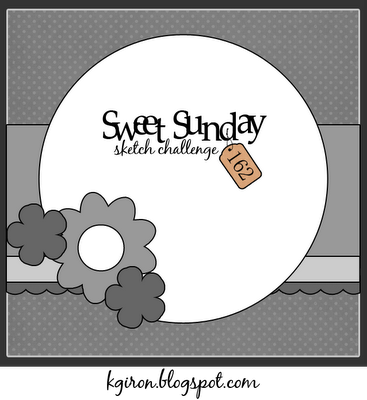 Moxie Fab World has a fun challenge going on now, too...the Stamp It hello card challenge. My dear daughter, Hannah, will be in our county fair Little Miss pageant in a week. I was able to get into my craft room and whip this up for her early this morning while she was still sleeping. She is my sunshine! 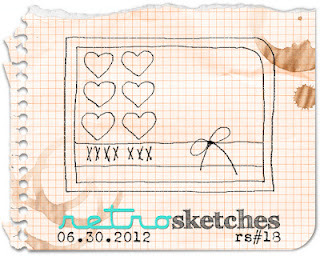 I inked up some of my Verve stamps for this card and pulled out some old Taylored Expressions Key Ingredients to use. 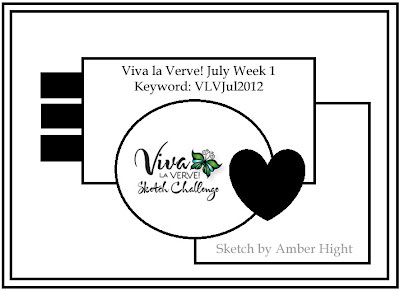 Speaking of Verve, the Viva La Verve sketch challenge for July Week 1 was the layout inspiration for my card. Awesome one! Thanks for stopping by! Hope you're enjoying your weekend!! Hope everyone is staying cool! It has been incredibly HOT here in the midwest, too hot to be outside, even to swim! 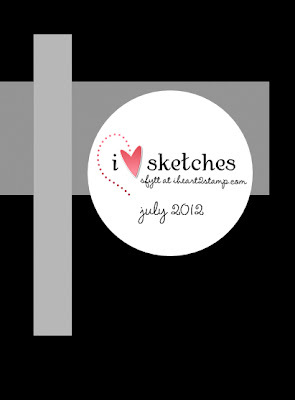 If nothing else, the hot weather has given me a chance to work in my craft space and enjoy some stamping time! 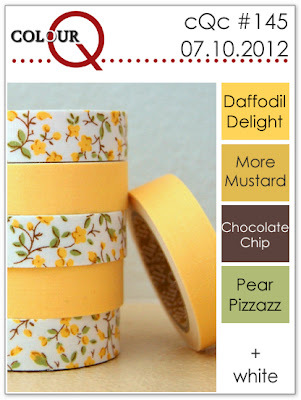 I grabbed some vintage-inspired papers, die cuts, etc., and whipped up a "scrappy" card for today. 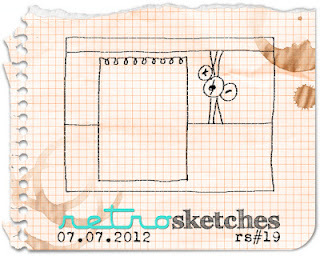 The sketch, My Favorite Things Weekly Sketch Challenge #79 over at Splitcoaststampers was perfect to utilize some of these vintage pieces. I even worked a little (very little) bit on the inside of my card. Definitely need to do more of that! I added a little tea stain ink around the edges of my die-cuts and adhered them with lots of dimensionals to create depth and character to my card. The greeting and inside stamp were done with heat embossing with Versamark and Gold Embossing Powder! 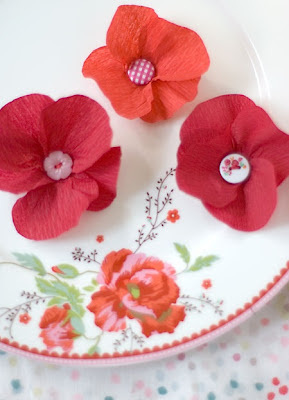 The fabulous Tuesday Trigger inspiration over at Moxie Fab World is a goodie, A Plate of Pretty Poppies! Loved the bright red and coral to showcase on my creation today! My card measures 4 1/2 X 4 1/2 (love square cards:) and is layered up with cardstock and designer paper, along with a little stitching, several stamped and hand-cut flowers, and finished off with some yummy ribbon, button, twine, and pins! Love my accessories:) Thanks for stopping by!